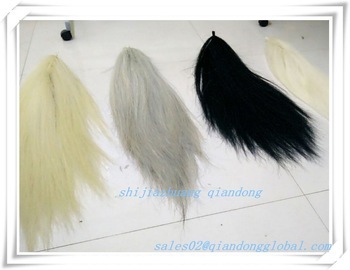 The False Horse Tails ( horse tail extensions ) We use the materials is 100% real horse tail hairs . l Uniform hair color and length. l Strong strength and elasticity. l Charge free for small bundle sample. 1 Low MOQ: No mater your business big or small, we can meet you well. 2 Good Service: We treat clients as friend. 3 Quick Response: All of our sales lived in the dormitory in our factory. We check E-mail by computer and mobile even night. 4 Good Quality: We have strict quality control system .Good reputation in the market. 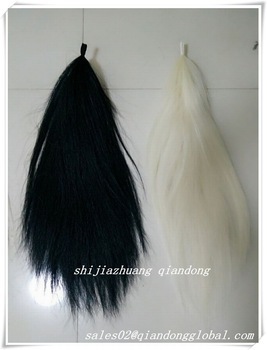 What we mainly offer: horse mane and tail hair, Animal Fine Hair and cattle tail hair, also horsehair fabrics. 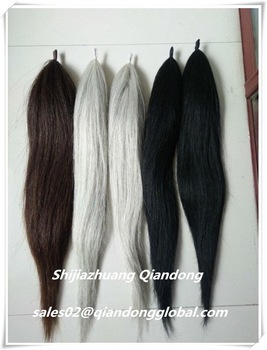 Looking for ideal 510g False Horse Tail Hair Manufacturer & supplier ? We have a wide selection at great prices to help you get creative. 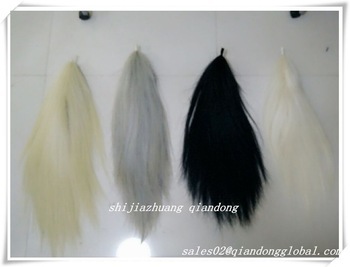 All the 75cm False Horse Tail Hair are quality guaranteed. We are China Origin Factory of 75cm Horse Tail Extension. If you have any question, please feel free to contact us.